Brewing in New Hampshire explores the fascinating history of the state's beer and ale brewing industry from Colonial days, when it was home and tavern based, to today's modern breweries. The book's many unusual and rare illustrations document the state's earliest brewers, including its most famous brewer, Frank Jones. Many lesser-known breweries that operated there are also covered, including the state's only brewery to be owned and operated by a woman before the modern era. 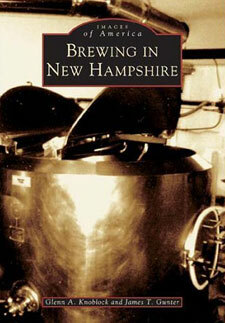 The book concludes with a look at the craft-brewing business in New Hampshire and is a must for anyone interested in local history or for those who simply enjoy a good New Hampshire beer and wonder how it all began.